Guided by dedicated senior management, the Homestyle difference is delivered by a team of exceptional people throughout our organisation and homes. Are you interested in a career with Homestyle? Brian has been involved with Homestyle Aged Care Services since the company purchased its first facility in 1988, serving as a Director and later Chairman of the Board of Directors. Between January 2005 and January 2014 Brian held the position of CEO, after gaining extensive management experience in a diversified family business. Brian is a member of the Board of Management of Rural Northwest Health and has also served on the Board of the Victorian Arts Council for a period of eight years and as Chairman for six years. Tim joined Homestyle in January 2014 and brings with him over 12 years of health experience including 10 years within aged care; his most recent role CEO of Provider Assist, a large aged care consulting service. Prior to this Tim was CFO at TLC Aged Care. With over 20 years of business experience, the variety of the roles he has fulfilled includes, finance – up to CFO, IT up to CIO, Project manager, Recruitment specialist and CEO most recently. 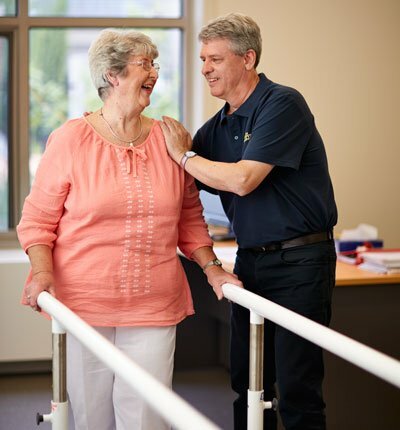 He has worked across a variety of industries including: materials handling, acute health, logistics, recruitment, aged care, community/home care, and disability services. Tim has worked within privately owned, publicly listed and not for profit organisations. Tim is currently a Director, and on the audit and finance committee for the Victorian Cytology Service; and Treasurer of the Wattle Park Primary School. King joined Homestyle in January 2019 having held management and executive positions during his 7 years’ experience within aged care across both the for- profit and not-for- profit sectors. Prior to this King worked in public practice providing audit and advisory services to listed, unlisted public and private companies across a wide range of industries. Lee Slater is a registered nurse with a background in midwifery general surgery and general practice. Lee was recently promoted into an executive level role to assist each home to improve its performance across a variety of metrics, especially resident care. Prior to her current role she managed Belmont Grange Homestyle’s a 131 bed home in Geelong. Her aged care experience includes working in Unit manager, Clinical services manager and Facility Manger/ Director of nursing roles over a period of 17 plus years. Lee was awarded a scholarship by the Australian Royal College of Nursing. Sheridan is a Registered nurse with extensive acute, sub-acute and aged care experience. Working in the intensive care, surgical and medical fields collectively for 18 years she is now committed to applying wide-spread knowledge gained to the aged care industry in a more senior management positions. Sheridan has broad experience in clinical governance both through clinical leadership roles across the aged care industry and managing varying types of aged care residences. She is passionate about delivering quality care to a vulnerable population, advocating for the consumers best interests and is dedicated to developing the skills of the workforce within our homes. Annette joined Homestyle in June 2015 and brings with her over 20 years of Human Resources experience. Prior to this Annette was the Executive HR Manager at Port Phillip Prison. Annette has worked across a variety of industries including: Federal and State Government, Victoria Police, Mining, Utilities, Transport and Security sectors. Working in the aged care industry for 14 years, Marina has held key management roles for both profit and not for profit organisations including paediatric hospitals and large aged care providers such as Estia Health and Arcare. As an accomplished aged care professional, she has successfully led operational and clinical services in each role aligning risk management and holistic care. Marina was appointed as Homestyle Group Quality and Compliance Manager in September 2018. She leads the Quality and Clinical team to deliver programs with a continuous improvement focus including Risk Compliance and Quality Management across the group. Mark comes to us from QLD, has been working in the aged care industry since 2004 and has worked with Homestyle since 2015. Mark started his career as a personal carer and has worked in other roles such as finance and sales. He is currently studying a Diploma of Health Administration to fine tune his management skills with the intent of growing with Homestyle in the aged care industry. As part of our Continuous Improvement policy, a Veterans Liaison Officer (VLO) role has been established. Homestyle is the first private Aged Care Provider in Victoria to establish this role for its residents. The position of Veteran Liaison Officer is part of the Community Program for Homestyle Aged Care Services, and it facilitates links between Homestyle homes, the Department of Veterans Affairs (DVA), the DVA clients, their families and carers. Our aim is to ensure the best possible outcomes for veteran residents and their carers. Ensure that DVA clients their families and carers (including professional carers) are aware of the support provided by the group’s VLO. Act as a single point of contact for DVA clients, their families and carers, Ex-Service Organisations and DVA with particular regard to resolution of concerns/problems. Provide pre-admission support for new residents, their families and carers. Assist in the streamlining of discharge and placement in other facilities as appropriate. Refer residents, their families and carers to appropriate services/resources. In conjunction with Ex-Service Organisations, coordinate DVA client visiting and information services, and establish/maintain communication and linkages between the facility and the Veteran Community. Coordinate general health and lifestyle education and counselling. This will include the identification/development and implementation of health promotion programs relevant to the Veteran Community. Ensure the Veteran Community is made aware of the range of services, programs and activities available at the facility. For more information, please use our contact page.